I am excited to announce that two of my nature images received honors in the 2018-19 TREES Inc. “Shades of Winter” Photography Contest in Terre Haute, Indiana. 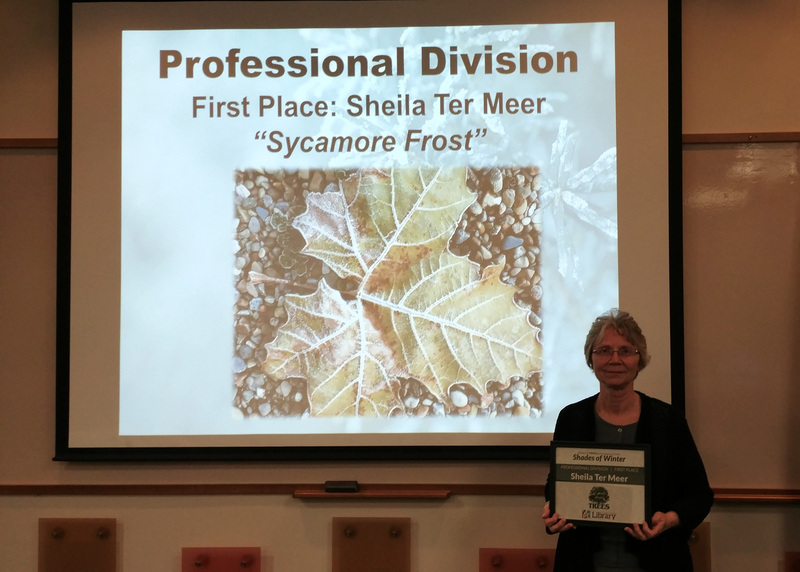 “Sycamore Frost” received First Place in the Professional Division, and “Sycamore Freeze” was awarded an Honorable Mention. Both leaves are from the Sycamore tree in my front yard in Clay County, Indiana. I used my cellphone to capture the images on the fly. For the contest, I had each image processed as a competition print and mounted on foam core. The exhibit of winning photographs went on display Feb. 11 in the Vigo County Public Library at Terre Haute and can be viewed through Feb. 28.